On every hotel barge cruise, wherever it may be, we aim to give our guests authentic and immersive experiences. As your barge makes its way along one of the waterways of France, Scotland, Holland or perhaps Italy, you will have the opportunity to visit hidden places and meet local people from all walks of life. These “Insider Experiences” are unique and personalised and each one offers the chance to uncover a true slice of local life. These forays to “get under the skin” of local culture and history are not always shown in our published itineraries and many are impromptu, depending on the occasion and the interest of the guest on board. Thanks to our many years cruising some of the most spectacular waterways across Europe, we’ve developed numerous close friendships with the local businesses, vineyard owners, tour guides and restaurants along our routes. And given the intimate, tailored nature of our service we endeavour to give you the unique and unforgettable experiences that just aren’t possible with a larger cruise line. Be it dinner at a lock-house or a private tour and tasting at a boutique winery, our Insider Experiences will leave you with a true flavour of the region. 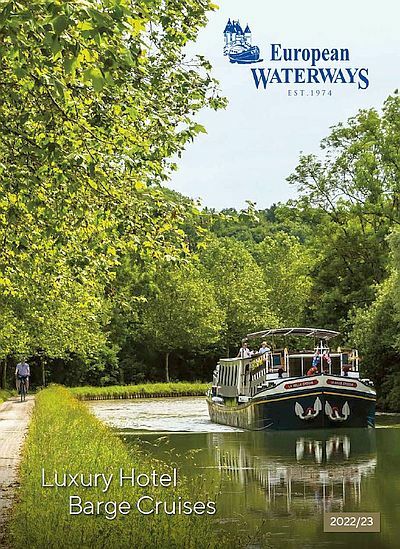 On a Burgundy barge voyage, one of the friendly lock-keepers you meet may proudly want to show you around his waterside home and perhaps offer you a hospitable glass of Pastis or a game of Boules. In the Loire Valley you might meet local cave dwellers, living in the magnificent chiseled by their forefathers many years ago. And during a cruise in Holland, a visit to clock-maker’s workshop is a real insight into a highly skilled profession. Many of the diverse waterways we cruise in Europe have fascinating histories, and you are bound to encounter some of the interesting characters who live and work on them, who will no doubt regale you with local tales and traditions. A private visit to a boatyard on the Royal River Thames to see craftsmen hand building traditional river craft will be a real education, while an hour or so aboard an open wooden boat, enjoying a glass of white wine with a Loire lock-keeper may be another enjoyable diversion. And don’t be surprised if one balmy evening as you are savouring a pre-dinner cocktail with your fellow passengers, you are put “in the mood” by a local jazz band. Or more dramatically still, serenaded by a bag-piper in full traditional regalia on the misty banks of a loch in the Scottish Highlands. Local Gastronomy is also a firm feature of our Insider Experiences. You may find yourself enjoying oysters with some chilled Picpoul de Pinet at an Oyster farm as the sun sets over the sea in the Midi, or perhaps visiting an artisan chocolatier in her home to learn more about he expert art of chocolate making – and of course sampling the end product! Our guests are often sophisticated, knowledgeable travellers who have already seen all the most famous sites in the countries we cruise. Now they want to explore the out of the way places and take “the path less travelled”, to meet hosts whose only guests are our guests. Hotel barging devotees who are keen to discover the real heart of Europe away from the madding crowds and tourist traps, will find our Insider Experiences really do add to the intimate nature of their “gentle voyage of discovery”.